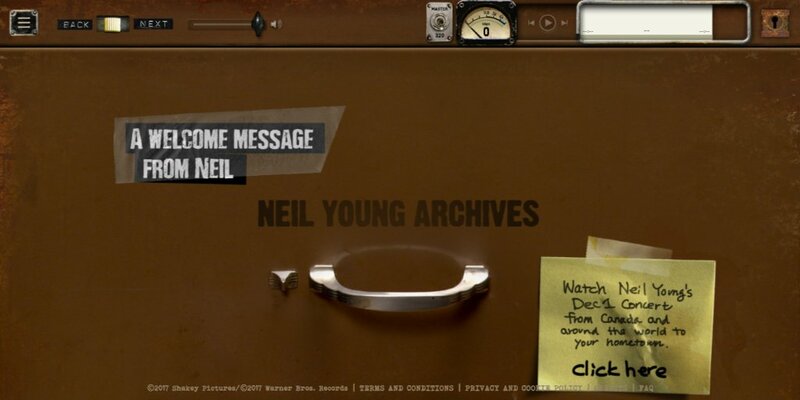 Neil Young News: Neil Young Returns To #1 On The Charts! 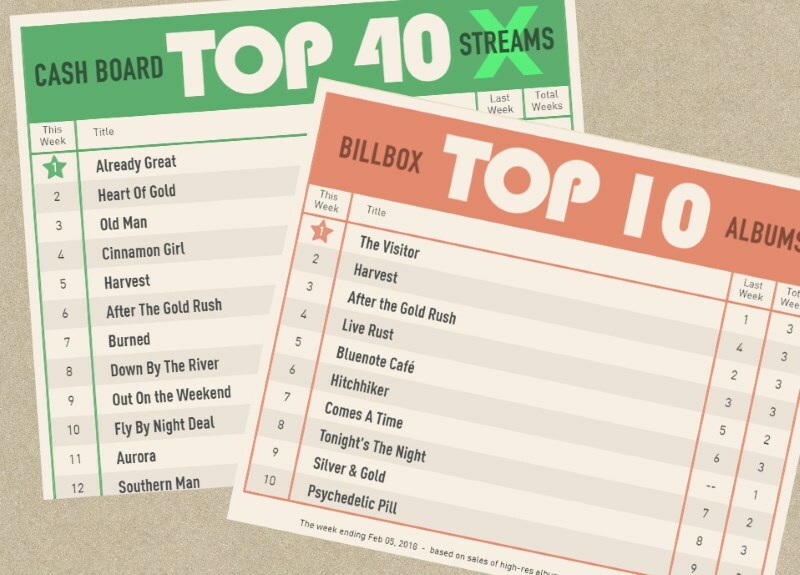 Neil Young is now #1 on both the "Cash Board TOP 40 Songs" and "Billbox Top 10 Albums" for the week of Feb. 6. Actually, Neil Young is the top artist because he is the only artist on the charts -- which are from the Neil Young Archives website. The song list is compiled from the most listened to stream totals. "Already Great" is the top song and "The Visitor" is the top album this week. The top 10 album chart, is based on sales via the online store. 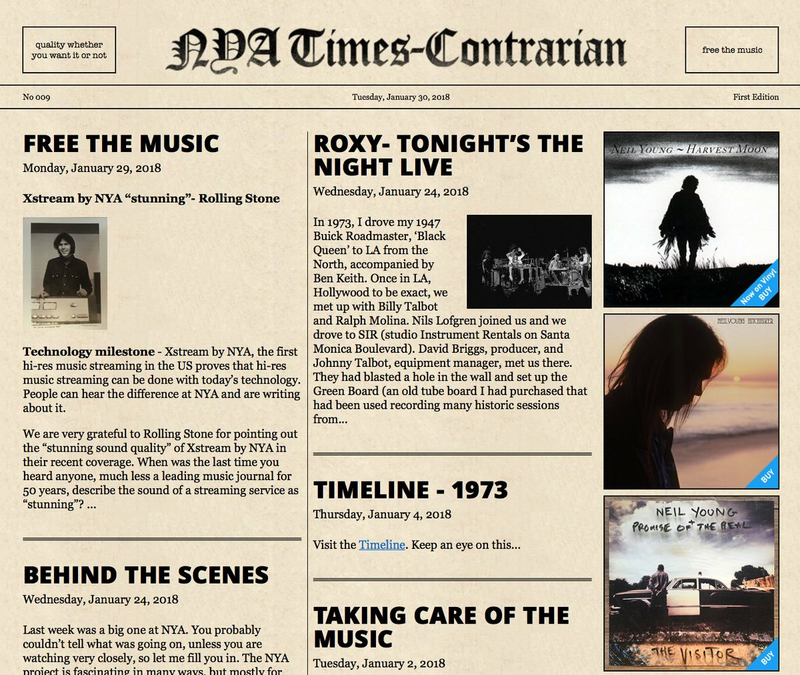 As Neil says on NYA Times-Contrarian : "I am very happy to be #1 on all of them! It has been a long time for me and it feels good. I knew I would figure out a way to be back on top!". Probably the best Top Charts of all the times. He has the best sense of humor ! This is a great example of his ability to make diamonds out of rust! Neil is #1 to me. (Unrelated) can someone have a word with someone who can officially release "Unplugged" on DVD or Blu-Ray?